FASHION HOUSE Outlet Centre Moscow broadens its offer just in time for vacation season. Brums Outlet and Andrea Montelpare, two multibrand stores with wide selection of goods for the youngest customers, as well as two brands for adults – And Wonders and Troy Collezione – joined the list of FASHION HOUSE Outlet Centre Moscow tenants. New stores took in total 370 sq m.
Brums Outlet, which offers kids wear of such brands as Brums, Bimbus, Mer, Timberland, DKNY and Lee, has already opened its boutique in a 87 sq m unit. Another multibrand store, Andrea Montelpare will open very soon in a 68 sq m unit. It sells kids shoes of Andrea Montelpare, GF Ferre, Ice Iceberg, John Galliano and others. Kids products in FASHION HOUSE Outlet Centre Moscow are offered also by Benetton, Kanz, Lacoste, Napapijri, Ralf Ringer and Tommy Hilfiger. Moreover, offer for adult customers improved as well. Troy Collezione, a brand with Italian origins, is famous for high quality mens wear. All stages of the production process are kept in secret to the moment when products come to the stores. Troy Collezione occupies a 122 sq m unit. The list of FASHION HOUSE Outlet Centre Moscow tenants has also been enriched by Wonders, Spanish shoes’ producer, known for its unique style and high quality materials, which will open in June an almost 85 sq m boutique. 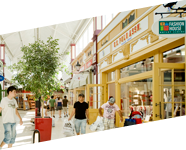 – A professional outlet centre should care about broad offer for each group of visitors. Families with children constitute more than 40% of our customers and over 30% have kids under 10 years old. 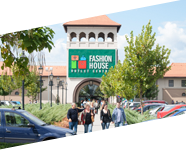 FASHION HOUSE Outlet Centre Moscow has a comprehensive offer and it is one of the factors that makes it successful – said Brendon O’Reilly, Managing Director of FASHION HOUSE Group. 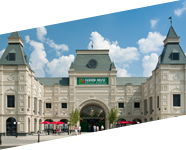 Opened in June 2013, FASHION HOUSE Outlet Centre Moscow is the first fully enclosed and professionally managed facility of this kind in Russia. Since the launch, its status has been acknowledged by industry experts, who awarded FASHION HOUSE Outlet Centre Moscow with the RLI International Outlet Centre in 2014 as well as 2015 RCSC Award for the best outlet centre in Russia. 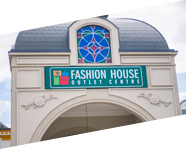 FASHION HOUSE Outlet Centre Moscow offers customers top quality international and domestic brands available all year round for 30%-70% less than original prices. List of tenants includes luxury, designer and high street brands: Tommy Hilfiger Adidas, Reebok, US Polo, Tom Tailor, Benetton, Nike, Puma, Lacoste, Cacharel, Carlo Pazolini, Tru Trussardi, Samsonite, Salomon, Reserved, Mohito and others.